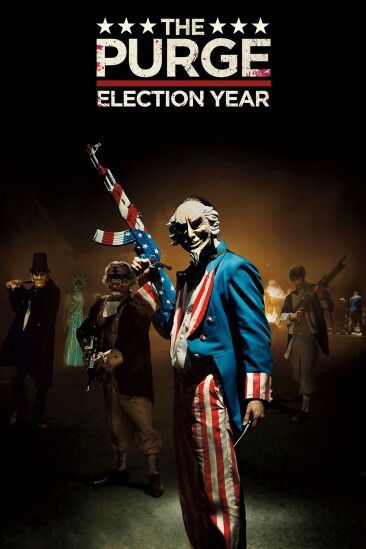 WHAT I LIKED: 'The Purge: Election Year,' further develops the genius concept and ideas discussed in its predecessors in an interesting way by shining a light on the politics with a senator threatening to end the NFA's rule and the annual purge, and the fact it manages to engage with some slightly fresh political territory with that new story shouldn't be sniffed at. Indeed I'm of the opinion that this series has - albeit in its overtly exploitative kind of way - done a rather good job of bringing some great political horror to the table, and this third film certainly works in that department. WHAT I DIDN'T LIKE: The issue is though that this time around even less time than usual is given to develop people that you can actually care about (even rogue badass Frank Grillo is reduced to very little in this one), and that's certainly not helped by a script that hugely demeans its black central characters. That makes the horror elements far less scary, and the political stuff far less engaging. VERDICT: Another exploitation horror that tackles some neat political themes extremely overtly, 'The Purge: Election Year,' has potential, but the execution this time steps beyond the realms of the crass and well into the awful.